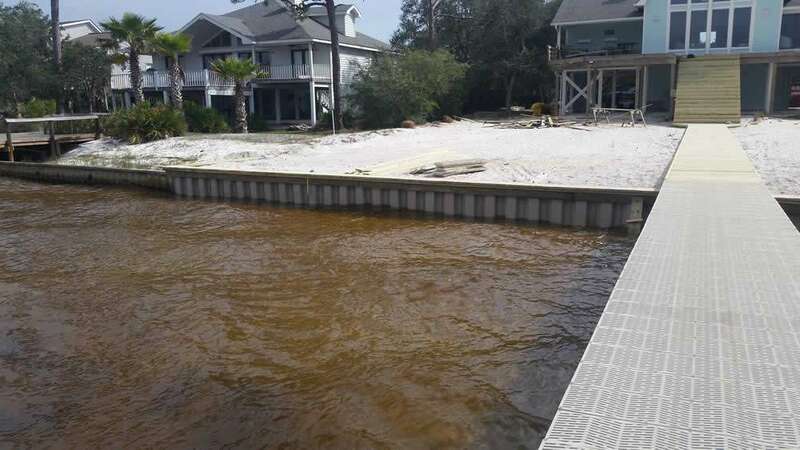 We have the experience and knowledge of seawall design and marine construction to assist you with all phases of your bulkhead or seawall project, in terms of erosion control. Dock and Decks has the expertise and infrastructure to service marine construction waterfront projects large and small. From residential waterfront properties to marinas and commercial facilities, Dock and Decks is prepared to meet all of your shoreline protection needs for seawall construction. Erosion poses a serious threat to any waterfront property owner. Storms and wave action can accelerate erosion and make it necessary for Seawall Repair more frequently than a property owner anticipated. 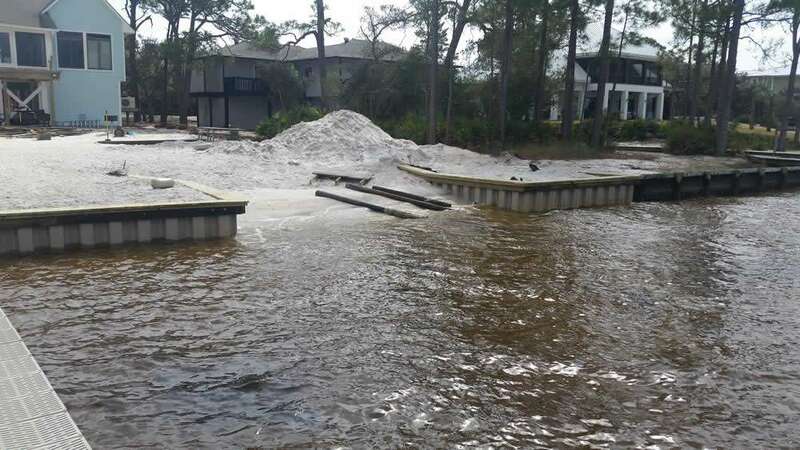 While most waterfronts come equipped with seawalls, responsibility for the maintenance and Seawall Repair—as well as replacement—of seawalls falls squarely on the shoulders of the property owner. Seawalls are often built from wood, vinyl or concrete as one continuous slab but can also be made of stone, broken pieces of concrete, also known as “rip-rap: or, in some situations, plastic membranes. Seawall Repair is very important for owners. We offer high quality, long-lasting components for a total seawall solution. Dock and Decks provides many options for seawalls but due to ship worms in the area we prefer to use vinyl. Vinyl is an adequate alternative to a traditional concrete seawall when space for heavy equipment is limited. Used in conjunction with an anchoring system and concrete reinforcement, it is a good defense against erosion. However, in order for a seawall to be a prime candidate for vinyl, it must be completely vertical. Give us a call today for a free quote!